Zapier is a fantastic platform to connect over 1000 services together if no direct integrations available, or to create highly custom integrations that are not offered. The Bonjoro Zapier integration offers more custom settings than some of our native integrations. It also connects to many CRM's, Mailing Lists and other platforms that we have yet to build direct integrations for. 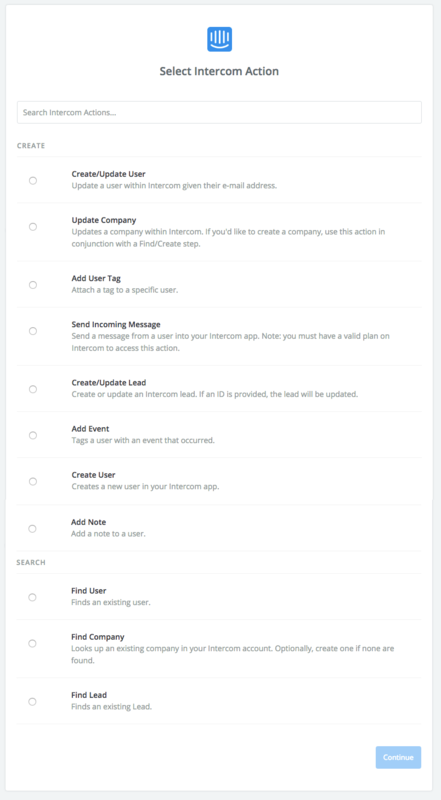 This is a list of some of the things you can do with our Zapier integration sorted into Triggers, and Actions. 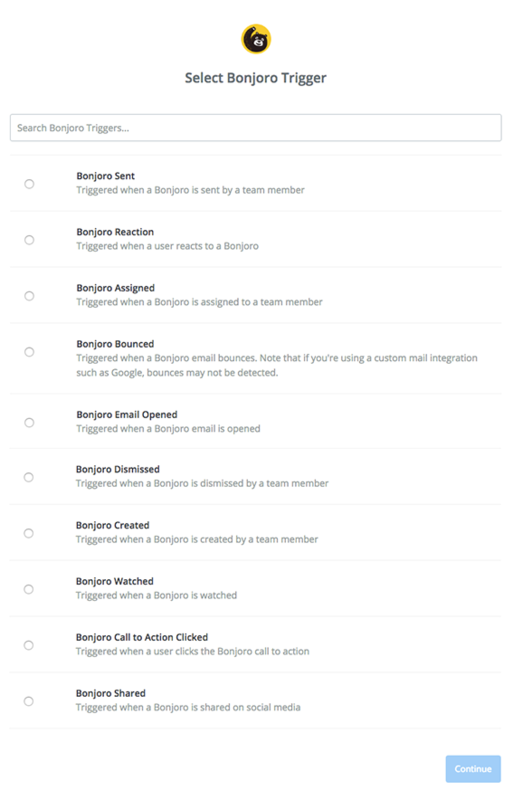 A Trigger is the thing that happens in Bonjoro, which will cause something to be affected in your CRM / Mailing list / App. Scroll down for when and where to use each. Bonjoro Call to Action Clicked - Triggered when someone clicks your Call To Action (button) on their Bonjoro. Use this to move customers between lists depending on their level of engagement. 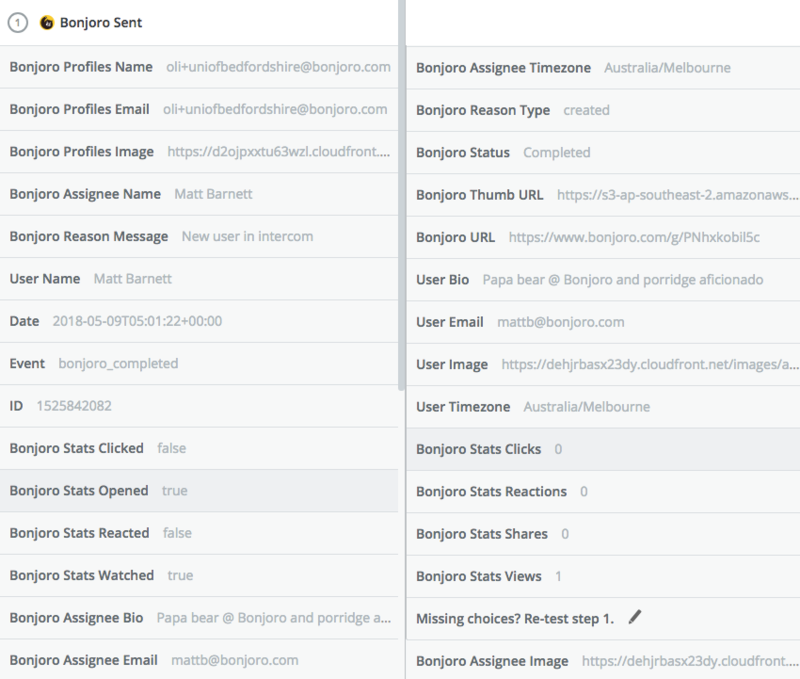 Bonjoro Shared - Use to detect users with Social influence and track where word of mouth is generating signups. You can also do crazy complex things such as tweet back to someone automatically when they tweet a bonjoro (get in touch if you want to know how). Bonjoro Bounced - Use to flag customers who's email addresses may be wrong in your database. You can even trigger a message sent to that user through other mediums or to other emails they may have to ask if that Email is correct. Bonjoro Assigned - Triggered when a Bonjoro is re-assigned to a different team member. Use to track results of different team members in your CRM. Bonjoro Created - Use with sent to measure % customers Bonjoros are sent to. Above are just a few ways Bonjoro can be used to trigger an action. When you connect your "Action" app you'll see that you then have a list of Actions you can take on your chosen platform. Or I could use that event to search for that user the Bonjoro was sent to and perform something totally different. What this means is that I can add any of the above information to that user in my app (in this case intercom). A simple example is with the above I will add the "Bonjoro URL" attribute to a user in my Intercom account, when that user is Sent a Bonjoro. Now when i look at that customer in my intercom account, attached is the URL of the Bonjoro message I sent them, which I can open from Intercom and I never have to go into Bonjoro.